The Pierce College Library and Cascade Building was a McGranahan project. Three brainstorming sessions with employees and students brought forth plenty of ideas for what uses and looks might be in store for the 4000 Building at Shoreline Community College. Seong Shin, of McGranahan Architects, makes a comment during one of the Orct. 28 brainstorming sessions. 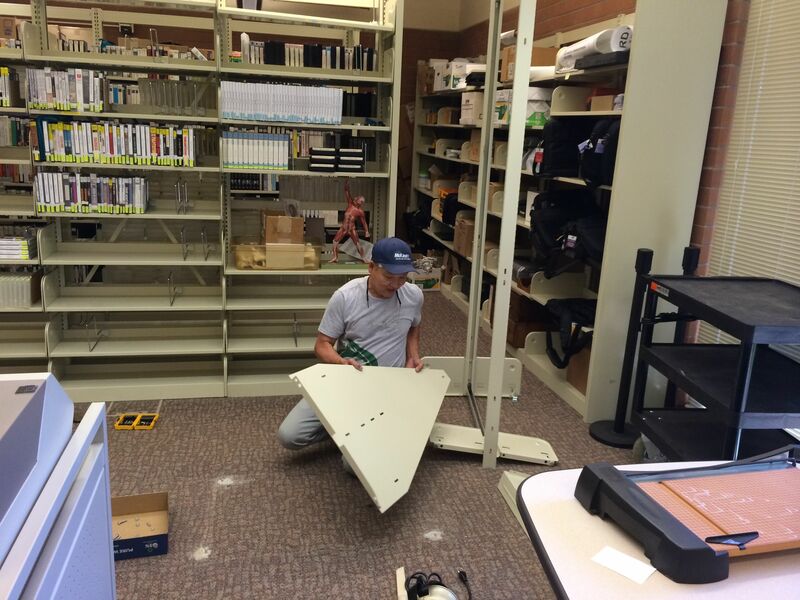 Work to make room for learning support centers this fall began this past June. The No. 1 current use – the Ray W. Howard Library Media and Technology Center – isn’t likely to change, but there are other programs and uses in the building and libraries in general have been morphing to accommodate changes in technology and user expectations. 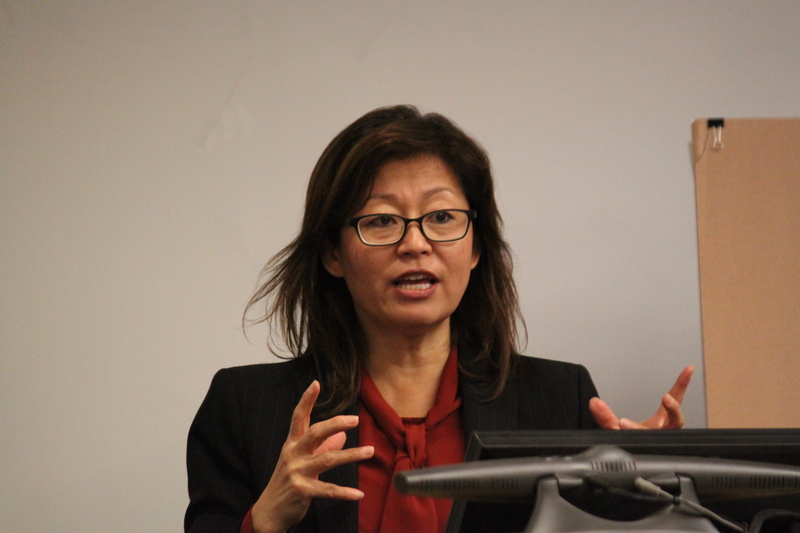 Leading the brainstorming sessions on Oct. 28, 2105, were Seong Shin, principal for interior design services, along with other personnel at McGranahan Architects of Tacoma. McGranahan is the firm the college has been working with on a variety of refresh projects across campus. The goal is to imagine the look and uses for the building in the coming years. To prime the conversation pump, Shin showed slides from other projects, including one McGranahan worked on at Pierce College. Comments ranged from color schemes to re-imagining the technology that might need to be accommodated in the future. While the 4000 Building and library went through an extensive renovation 15 years ago, there have been some more recent usage changes. For example, the Math Learning Center and The Writing and Learning Studio this past summer moved from other areas on campus into library main-floor spaces and opened to students for this fall quarter. In the fall of 2014, tutoring services relocated from the 5000 Building (FOSS) to offices on the library main floor. In the spring of 2014, the former TV studio on the lower floor became a black-box theater space used by a variety of digital film, theater and other programs and classes.